Xploreline.XY and Xploreline.X gauges by Aeroel are general purpose gauges for online measurement of diameter, ovality and position for fast-moving products. 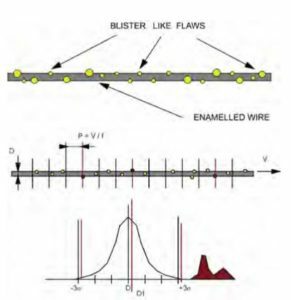 They can be used for flaw detection purposes on wire and extrusion processes. 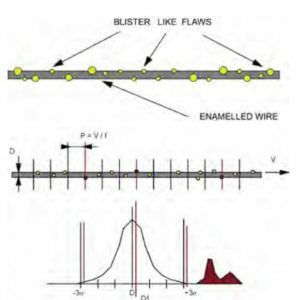 Using Xploreline for laser diameter measurement, it is possible to measure min/max diameter over a set distance to evaluate shape, or defect repetitive flaws and blisters even if they are nominally within tolerance. Xploreline comes equipped with the DM-200 display panel and IR remote control for programming. 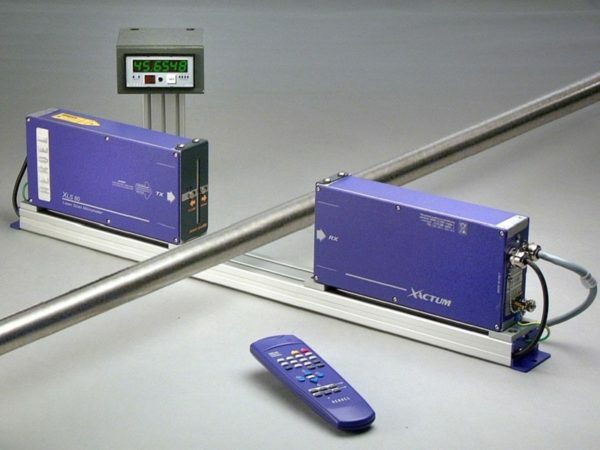 To find out more about the Xploreline series of gauges for online product measurement and feedback, contact us. The Xploreline series of gauges uses a scanning motor based on the fluid dynamic bearing technology, without ball bearings, which works perfectly, with no wear for longevity and precision. The NO-VAR option allows you to automatically compensate for the expansion of the part when room temperature changes. The user only needs to program the proper coefficient of thermal expansion of the part. 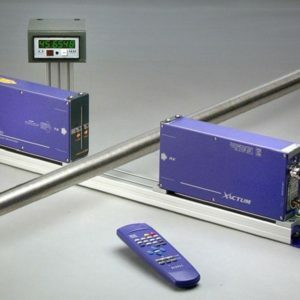 The Web Server allows you to connect the sensor through the Ethernet line to any Internet browser and “see it” as a website, where you can view the measures, set-up and program. 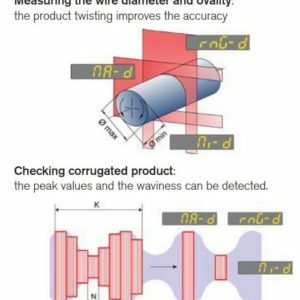 The Xploreline.XY software includes a measuring feature that can be very useful to check the diameter smoothness of a continuous product (for instance magnet wire) and to detect a very special type of recurrent flaws, commonly called “Blisters”. 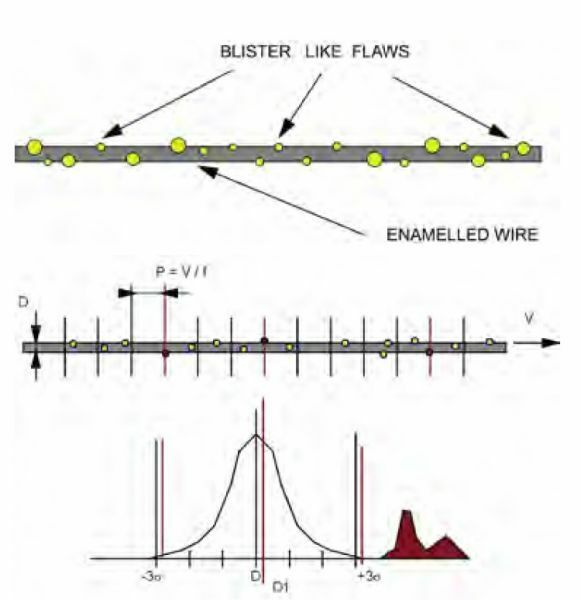 The “Blistbuster” function has been designed to detect and to “measure” such flaws, with new and dedicated numerical parameters: the algorithm is based on statistical assumptions so a relatively long section of wire must be checked, including a rather high number of flaws. It is impossible to detect any single flaw or to measure its real dimensions, unless the flaw length is longer than the scanning pitch. 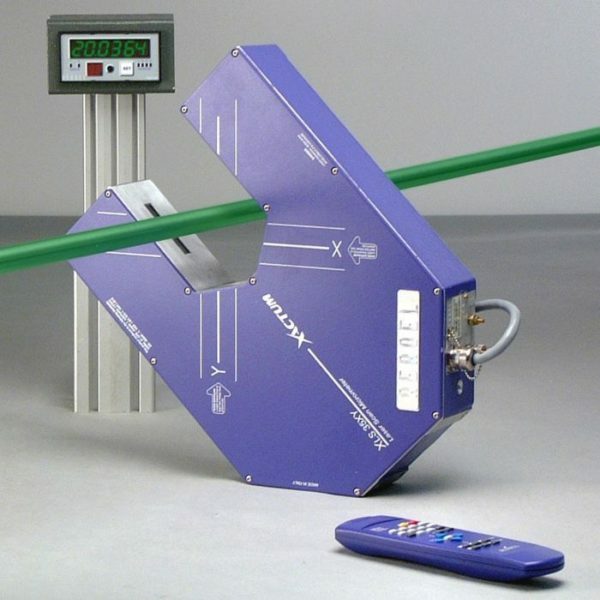 The Aeroel Xploreline intelligent laser sensors make diameter measurement easy and fast. 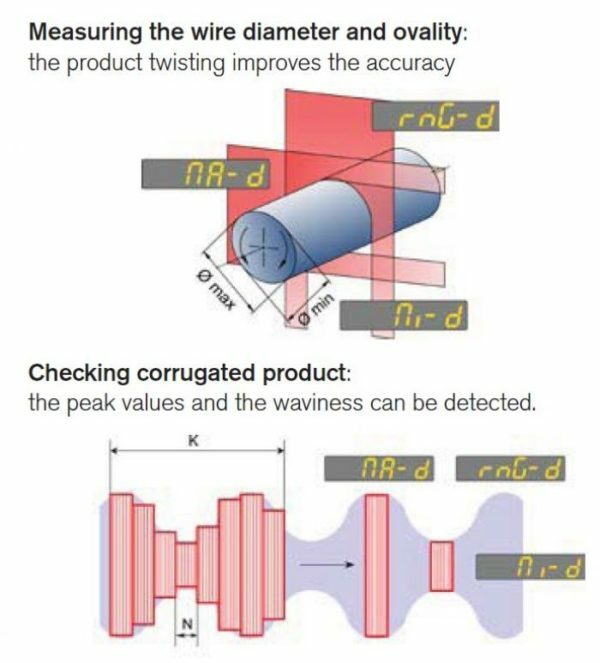 These general purposes gauges can be used for flaw detection on all wire and extrusion processes.